World’s first fully automatic heat press. The Air Fusion IQ™ heat press from Hotronix® is the most advanced heat press in its class and really takes the sweat out of heat printing. 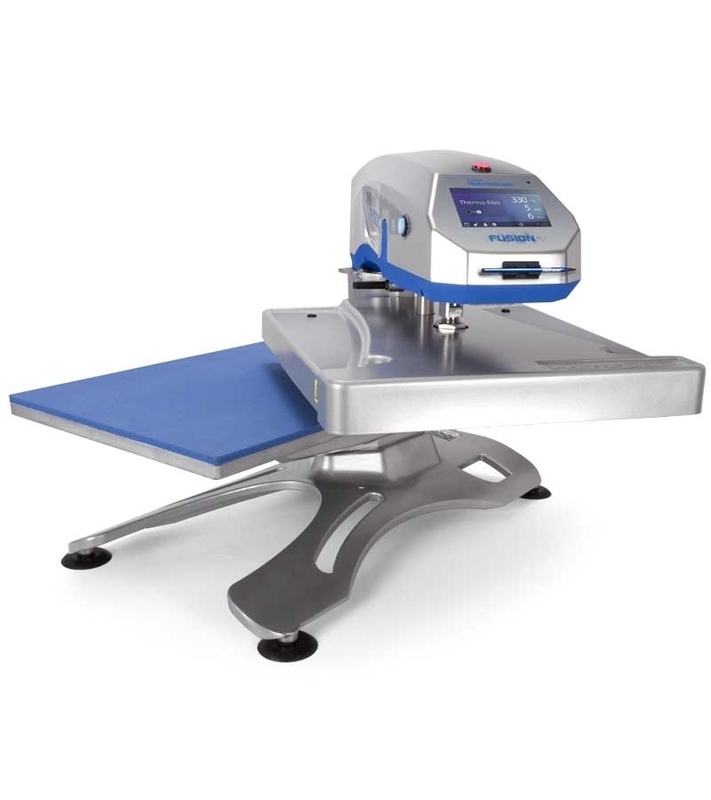 Easy to operate, its foot pedal allows hands-free swinging of the upper platen, while two-button activation of the press adds a level of safety. Industry-exclusive Threadability™ increases productivity by allowing you to load a garment once and easily rotate it to decorate the front, side, and back.